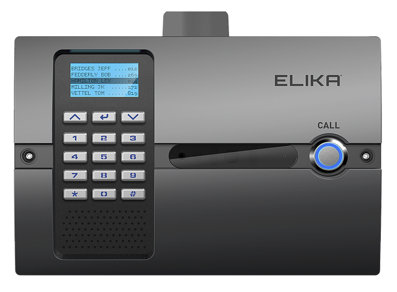 Elika 460 has been designed to be compatible with the most relevant, widely available, and cost effective wireless communication sources available. These include VoIP, BLE (Bluetooth), Wi-Fi, 3G and 4G cellular. HD camera and built-in intelligent proximity sensor. Elika Smart Link App allows you to manage via smartphone. Battery backup and solar applications.